We seize each moment to inspire academic success and a lifetime love of learning. Research shows that 90% of the brain is wired during the first 5 years of life, providing the foundation for all future learning, behavior, and health. At a very early age, your child’s capacity for learning is expanding at an amazing rate! Not all preschools or childcare centers are equally prepared to maximize your child’s potential during this exciting time. From our beautiful indoor/outdoor environments, to our experienced educators and low student-teacher ratios, to our engaging research-based curriculum and on-site kitchen with nutritious meals – we have designed every detail to seize each moment of these important early years. We know that you have many options to choose from, and strive to create an educational experience at Carpe Diem Preschools that soars beyond what you may find at other preschools or daycare centers. We do not refer to our program as ‘daycare’ because our teaching team is comprised of long tenured educators whose knowledge of child development extends beyond loving care to include research-based developmentally appropriate, rich learning opportunities. At the heart of our schools is a deep respect for children, their natural curiosity, and their incredible capacity to learn. We believe in a child’s natural abilities and limitless potential. To achieve academic success and true learning potential, our balanced program recognizes that cognitive-linguistic capacities, emotional and physical health, and social skills which emerge in the early years are ALL essential and must be nurtured and respected. Research has proven that young children learn best when engaged in rich experiences and hands-on exploration. Our curriculum is designed to engage each child’s natural curiosity, and is based on best practices in ‘experiential learning.’ Studied thoroughly for decades, this process of learning through experiences has been proven to increase engagement and retention. Many preschools and daycare centers offer routine activities focused on memorizing letters, shapes and numbers. Our students soar beyond memorization through hands-on learning experiences that spark natural curiosities and inspire academic excellence. Math and science are often hard to find in preschool classrooms. Many programs focus primarily on literacy and social-emotional development. Unlike most other preschools and daycare programs, our interdisciplinary approach begins with engaging math and science topics and integrates language, literacy, and social-emotional skills as natural components of each lesson. This STEM-based approach taps into a child’s natural desire to touch, smell, and explore, helping them discover joy in learning and future success in all areas. Example: Rather than doing worksheets to practice that ‘M’ is for ‘Museum,’ students embark on a learning adventure in Exploring Museums. They strengthen literacy while discovering paleontology as they dive into books, and create exhibits, collections, signs, and captions for the culminating project—a class museum! Learn more about our innovative curriculum. Our teachers are highly-qualified, experienced and tenured. Our student-teacher ratios meet or exceed state and national standards, allowing more personalized attention for each child. Our teachers get to know each student and his or her primary motivators, helping them spark neural connections and trusting personal connections which help students thrive. We pride ourselves on knowing each child by name, and making each student feel special when they walk through our doors. We understand that academic achievements soar when children feel respected in a nurturing environment. Learn more about our faculty. At Carpe Diem Preschools, we include daily enrichment as a powerful tool to help children develop into well-rounded individuals. We offer our exciting music education program daily. We also include Spanish each day starting in preschool. Unlike many other schools, both Spanish and music education are taught by dedicated, expert instructors and included in our tuition. Our ongoing enrichment opportunities enhance communication and cognitive skills, and expand abilities in other academic areas. We take extraordinary care to take extraordinary care of our students, inside and out. Our talented chef prepares nutritious meals in our on-site kitchen, offering fresh fruits and vegetables, organic milk, and more. Food is fuel for your child’s healthy growth and development. When you visit one of our schools, you will see that we have created beautiful, inspiring learning environments where children can excel through thoughtfully prepared indoor and outdoor experiences. You will find the highest quality equipment, a Children’s Literacy Center, and materials placed at a child’s level – meaningful details that many preschools and daycare centers overlook. And while some schools eliminate ‘play’ and outdoor time, we are passionate about creating a program rooted in the science of how children learn best. Studies show that the brain relies heavily on body movement, hands-on exploration and gross motor skills to fuel cognitive development. We understand research supports that for young children, play and academics are NOT mutually exclusive. In fact, experts agree that children naturally explore and engage with content areas such as mathematics and science during their free play. We employ rigorous safety requirements and train our staff to make student safety a primary concern. Our facilities undergo thorough inspections to ensure the highest quality standards are met. Our schools are continuously monitored to keep them safe and well-maintained. Learn more about our important safety measures. 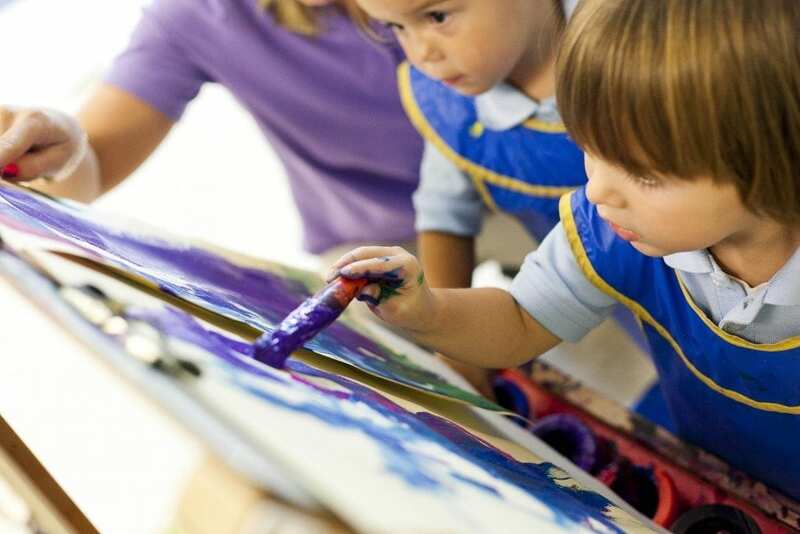 As a parent, we know that you have many childcare and preschool options to choose from. The early years offer a unique window of opportunity to spark a love for learning that will last a lifetime! We encourage you to schedule a tour of Carpe Diem Preschools to come see for yourself what sets us apart. Once you step through our doors, we believe you will clearly see what makes Carpe Diem Preschools so special.